Nene Hilario drives to the goal and makes the lay-in while drawing the foul. Nene Hilario schools his defender with his post moves. The Houston Rockets record their biggest margin of victory of the season with a 118-86 win over the Chicago Bulls. Eric Gordon finishes with 31 points. PJ Tucker finds Nene curling to the basket for a soaring one-handed jam. Chris Paul passes to Nene in the paint for a slam dunk. James Harden drives and dishes a no-look bounce pass to Nene for the lay-in. James Harden leads all scoring in the game with 26 points as the Rockets get the victory over the Jazz, 96-85. James Harden grabs a double-double with 34 points and 13 assists as the Rockets get the win over the Timberwolves, 126-108. Chris Paul gets 25 points, 9 assists, and 8 rebounds to lead the Rockets to a win over the Mavericks, 104-97. 2012-13: Averaged 12.6 points, 6.7 rebounds and 2.9 assists per game in 27.2 minutes per game in 61 games (49 starts)…Had seven games of 20+ points…Recorded seven double-doubles…Posted three games of 20+ points and 10+ rebounds…Scored a season-high 24 points at POR (1/21)…Grabbed a season-high 13 rebounds twice (2/11 at MIL, 3/13 vs. MIL)…Had three straight double-doubles (2/6-2/11)…Tallied 21 points, seven rebounds and a season-high seven assists at CHA (3/18)...Missed 14 games due to injury; nine due to plantar fasciitis-left foot (10/30-11/19), five due to a sore left foot (11/26, 12/15, 12/21, 4/15-4/17). 2011-12: Averaged 14.5 points, 7.5 rebounds in 11 games (six starts) for the Wizards after being acquired from Denver…Averaged 13.7 points and 7.5 rebounds in 39 total games (33 starts) with Washington and Denver…In his first game with the Wizards at NJN (3/21) posted a double-double with 22 and 10 rebounds...Became the first Washington player since Moses Malone to post at least 22 points and 10 rebounds in his debut with Washington (Malone recorded 23 points and 10 rebounds on October 31, 1986 for the Bullets at the Boston)...Recorded three double-doubles with Washington and scored 20 or more points twice…Washington was 7-4 in the 11 games he appeared in, holding opponents to 85.5 points per game on .401 shooting. 2010-11: Appeared in 75 games (starting all 75), averaging 14.5 points, 7.6 rebounds, 2.0 assists and 1.12 steals while shooting an NBA-leading .615 from the field in 30.5 minutes … Registered 12 points, a season-high 15 rebounds, three blocks and three steals in 30 minutes vs. Sacramento (3/30)…Totaled 18 points and seven rebounds in 24 minutes vs. Toronto (3/21)…Moved into ninth on the Nuggets all-time blocks list past Danny Schayes (470) at Miami (3/19)…Posted 20 points, seven rebounds and a season-high four blocks in 36 minutes at Atlanta (3/16)… Recorded his 12th double-double of the season (86th of his career) with 18 points and 11 rebounds vs. Detroit (3/12)…Moved into sixth on the Nuggets all-time steals list past Carmelo Anthony (634) at Phoenix (3/10)…Totaled 25 points (11-14 FG), 14 rebounds and two blocks in 31 minutes at L.A. Clippers on 3/5…Set a number of milestones at L.A. Clippers (3/5): moved into 9th on the Nuggets all-time rebounds list past T.R. 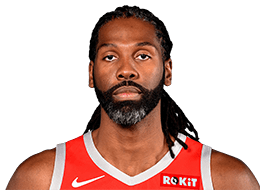 Dunn (3,496), 10th on the Nuggets all-time rebounds list past Dave Robisch (3,493), 10th on the Nuggets all-time blocks list past David Thomson (463) and seventh on the Nuggets all-time steals list past Reggie Williams (632)…Moved into 10th on the Nuggets all-time games played list past David Thompson (498) at Golden State (2/9) and ninth past Dave Robisch (500) at Memphis on 2/13…Scored a career-high-tying 28 points (2nd time) to go along with three blocks vs. Utah (2/4)…Notched 21 points (8-9 FG) and nine rebounds at Washington (1/25)…Scored his 6,000th career point at Washington (1/25)…Shot .500+ FG in 22 straight games (12/5/10-1/19/11) to mark a new career-long streak of consecutive .500+ shooting games…Scored 10+ points in 14 straight games (12/22/10-1/19/11) to mark a new career-long streak of consecutive double-digit scoring games…Collected a season-high five steals at San Antonio on 1/16…Posted 21 points and 12 rebounds at Oklahoma City (12/25)…Registered 27 points (10-13 FG), 11 rebounds and a season-high six assists vs. Memphis (12/5)…Totaled 22 points (12-15 FT) vs. New Jersey (11/20), while his 12 FT makes tied a career-high (2nd time) and his 15 FT attempts set a new career-high… Missed a total of six games due to a sinus infection, lower back/right hamstring strain, and calf strain and a left adductor (groin) strain (never more than three straight). 2009-10: Played and started all 82 games for the first time in his career and averaged 13.8 points, 7.6 rebounds, a career-high 2.5 assists, 1.40 steals and 1.00 bpg in a career-high 33.6 minutes … Ranked third in the NBA in FG percentage (.587), 26th in rebounds (7.6), 19th in steals (1.40) and 35th in blocks (1.00)…Additionally, he ranked ninth among NBA leaders in steal-to-turnover ratio (0.92-to-1)…Led all centers in steals per game (1.40) and ranked second among centers in assists (2.5)…Scored in double figures 63 times, including 12 games of 20+ points… Grabbed double-digit rebounds 22 times and posted 14 double-doubles…Led the Nuggets in scoring four times, rebounding 26 times and assists six times…Grabbed his 3,000th career rebound vs. Milwaukee (3/20)…Registered 20 points (8-12 FG), six rebounds, five assists, five steals and three blocks vs. New Orleans (3/18)…Recorded 17 points (7-8 FT) and 12 rebounds at New Orleans (3/12)…Played a season high 43 minutes vs. Sacramento (2/1)…Recorded 19 points (6-8 FG) and 12 rebounds at Golden State (1/20)…Scored 20+ points in three-straight games from 12/28/09-1/3/10, marking the first time of his career that he has scored 20+ three games in a row…Registered 24 points, a season-high 15 rebounds and four assists vs. Philadelphia (1/3…Posted 22 points (9-13 FG) and a career-high-tying six steals (second time) at Utah (1/2)…Scored a season-high 25 points (8-11 FG, 9-14 FT) at Sacramento (12/28)… Registered 20 points, 10 rebounds, five assists, four steals and four blocks vs. Toronto (11/17) – became the first player in Nuggets NBA history to reach those levels in those five categories in the same game…Posted 16 points (8-11 FT) and 13 rebounds at Indiana (11/3). 2008-09: Made a triumphant return from a bout with testicular cancer to post a career year …Appeared in 77 games (76 starts) and averaged career highs of 14.6 ppg, 7.8 rpg and 1.31 bpg, in addition to 1.23 spg in 32.6 mpg…Finished fifth in voting for the 2008-09 NBA Most Improved Player award…Ranked second in the NBA in FG percentage (.604/428-709), the best single-season mark in franchise history…Also shot a career-best .723 from the free-throw line… Tied for 22nd in rebounding, tied for 25th in steals and 17th in blocks…Scored in double figures 67 times, including 12 games of 20+ points…Grabbed double-digit rebounds 21 times and posted 20 double-doubles (28th-most in NBA)…Led the Nuggets in scoring six times and in rebounding 30 times…Registered 17 points, 10 rebounds and a season-high-tying five steals (third) vs. L.A. Clippers (3/14)…Dished out a season-high five assists vs. Portland on 3/5… Scored his 4,000th career point at Detroit (3/3)…Blocked a career-high five shots vs. San Antonio (2/3)…By making his first eight field goals vs. Charlotte (1/30), he connected on 21-straight FG at the Pepsi Center (last FG vs. Sacramento (1/20), 12-12 FG vs. Utah (1/25) and his first eight FGs (1/30))…Posted a career-high-tying 28 points (2nd time) on 12-12 FG shooting vs. Utah (1/25), tying the Nuggets team record for the most makes without a miss (Bobby Jones also went 12-12 FG vs. Golden State on 3/15/78)…Posted 27 points (10-11 FG), 14 rebounds and four assists at Oklahoma City (1/2)…Connected on his first career three-point field goal at Toronto (12/31)…Registered four-straight double-doubles from 12/20-12/26 to mark a new career best for consecutive double-doubles…Pulled down a season-high-tying 15 rebounds (2nd time) to go along with 20 points at Phoenix (12/20)…Missed two games (2/23-2/25) due to a right knee bone bruise…Missed two games (3/25-3/27) while serving an NBA suspension…Missed one game (12/29) due to a cervical strain. 2007-08: Played in just 16 games, averaging 5.3 ppg and 5.4 rpg in 16.6 mpg…Missed 37 games after a bout with testicular cancer (1/11-3/24)…Missed the last six games due to a right groin strain…Suffered a torn ulner collateral ligament in his left thumb against Boston (11/7) and missed the next 22 games. 2006-07: Averaged 12.2 ppg and 7.0 rpg in 64 games (42 starts)…Shot .570 (294-516) from the field…Led the Nuggets in rebounding 15 times…Missed four games due to right knee inflammation…Served an NBA suspension vs. Washington (12/18)…Inactive for 12 games due to a right knee contusion. 2005-06: Missed 81 games after suffering a torn ACL in his right knee after just three minutes of action against the Spurs on opening night (11/1)…Had successful surgery on 11/21. 2004-05: Played in 55 games (18 starts), averaging 9.6 ppg and 5.9 rpg in 23.9 mpg…Averaged 12.7 ppg, 6.9 rpg, 2.2 apg and 1.05 spg in 28.9 mpg, while shooting .570 (94-165) from the field as a starter…Scored in double figures 24 times, including three games of 20+…Pulled down 10+ rebounds eight times and recorded seven double-doubles…Led the Nuggets in rebounding nine times…Grabbed his 1,000th career rebound at LA Lakers (11/2)…Missed 27 games – 13 games due to a sprained medial collateral ligament in his left knee, two games due to a right hip contusion, eight games due to a strained left hamstring and four games due to an NBA suspension. 2003-04: Played and started in 77 games…Averaged 11.8 ppg and 6.5 rpg…Also averaged 1.51 spg in 32.5 mpg…Ranked fourth in the NBA in FG percentage (.530)…Scored in double figures in 53 games, including six with 20 or more…Grabbed at least 10 rebounds in 12 games and posted 12 double-doubles…Missed five games due to a strained left groin. 2002-03: Averaged 10.5 ppg, 6.1 rpg and a team-high 1.59 spg in 80 games…Started 53 times, averaging 11.8 ppg, 6.7 rpg and 1.60 spg…Was named to the NBA’s All-Rookie First Team… Scored in double figures 44 times with six games of at least 20…Grabbed at least 10 rebounds 13 times and posted nine double-doubles…Ranked second on the team in scoring and third in rebounding…Ranked sixth in the NBA in field goal percentage (.519) and 20th in steals…Set a Nuggets rookie record for FG percentage…Missed two games due to injury (one game due to left low back strain and one game due to a strained neck)…Played in the got milk? Rookie Challenge at All-Star Weekend in Atlanta. Selected by New York Knicks in first round (7th overall) of 2002 NBA Draft…Draft rights traded by Knicks with F/C Marcus Camby and G Mark Jackson to the Denver Nuggets for F Antonio McDyess, the draft rights to G Frank Williams and a 2003 second-round draft choice (6/26/02)…Re-signed with the Nuggets (7/12/06)…Traded to the Washington Wizards along with Brian Cook and a second-round draft pick as part of a three-team deal involving the Los Angeles Clippers and Denver Nuggets…The Wizards sent JaVale McGee and Ronny Turiaf to Denver and Nick Young to the Los Angeles Clippers (3/15/12).